This 6-day tour has been specially designed to take you across North Vietnam’s best wildlife spots! See endangered primates and go trekking at Cuc Phuong National Park, cruise around Ha Long Bay, and spot the elusive golden-headed langur at Cat Ba National Park. Your Vietnamese Adventure begins at the capital city of Hanoi. Start your journey at the capital of Vietnam, Hanoi, an amalgamation of the traditional and modern. Arrive at the Airport and be transferred to May De Ville Hotel Old Quarter. 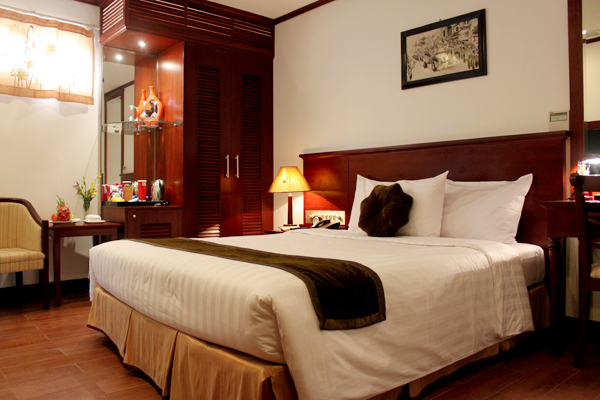 The rooms here are beautifully furnished and the restaurant serves Vietnamese and a selection of International cuisine. Travel to Cuc Phuong National Park, visit a Primate Rescue Centre, and then go on an exhilarating six-hour trek. Travel to the beautiful Cuc Phuong National Park, located 130km south of Hanoi. Visit the Primate Rescue Centre here dedicated to the rescue, rehabilitation, breeding, research, and conservation of endangered primates of Vietnam. You can see species like Delacour's langurs, golden-headed langurs, Tonkin snub-nosed langurs, and black-crested gibbons here. Then drive further to the centre of the Park to check in to Cuc Phuong National Park's Guest House. Your real adventure starts now as you go on a jungle trek through the National Park. A park ranger will be your on-site guide and will share his knowledge about the flora and fauna of the Park with you. Look for primates like macaques, gibbons, Francois' leaf monkeys and slow lorises. Also spot some of 300 species of birds present in the Park! Enjoy a picnic lunch in the shade of a giant tree in the Park. After six hours of trekking with many descents and ascents along jungle trails, walk downhill to a peaceful valley and reach the village of Khanh, home to Muong ethnic minority. Return to the Guest House for some well-deserved rest. Located in the center of the Park, the Guest House aims to take you away from modern life and get you in touch with nature. Facilities here are only minimal, there's no running hot water, and the restaurant only serves Vietnamese cuisine—the point here is to get you back to the basics! Visit the beautiful Thung Nang—Halong Bay on the rice field, and drive on for a night's stay at Ha Long. 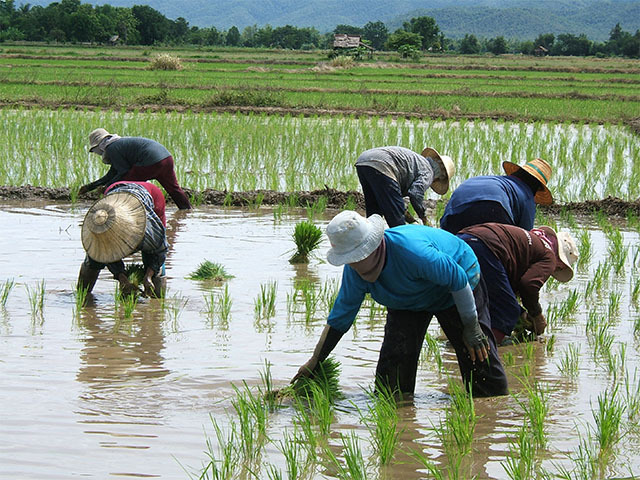 Travel to Thung Nang, known as “Halong Bay on the rice field”. This is a stunning area of limestone mountains and rice fields by a serene river. The scenery is just as stunning as the famous World Heritage Site of Ha Long Bay, the difference is that the mountains are on rice fields as opposed to being on the sea. Go on a boat trip to explore the beauty of the area. Drive on to Ha Long and check in to Mithrin Halong Hotel. The cozy rooms here are designed for comfort. The restaurant serves fresh local seafood and international cuisine. Explore the UNESCO World Heritage Site of Ha Long Bay and then travel to Cat Ba. Go on a four-hour cruise around the world famous Ha Long Bay. While the junk passes rocky islets, caves, floating villages and beaches, you will be served a fresh seafood lunch on board. Visit Thien Cung and Dau Go Caves—the most beautiful among the thousands caves of the bay. Continue on to Cat Ba and check in to Holiday View Hotel. 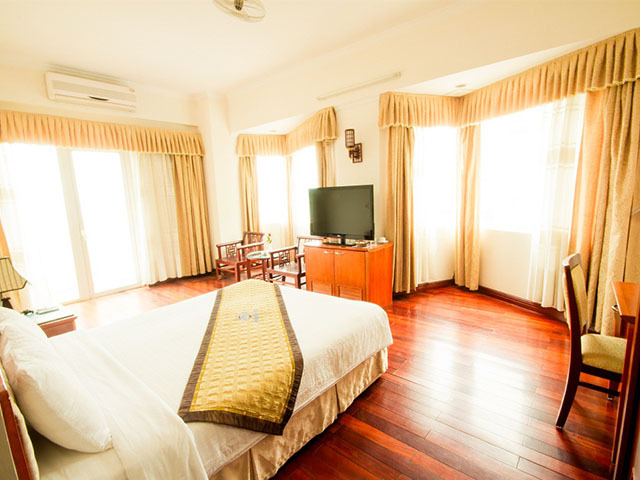 The hotel is conveniently located half an hour away from Cat Ba National Park. All rooms afford beautiful views of the forest or the bay here. The restaurant serves Vietnamese, Chinese, and International cuisine. 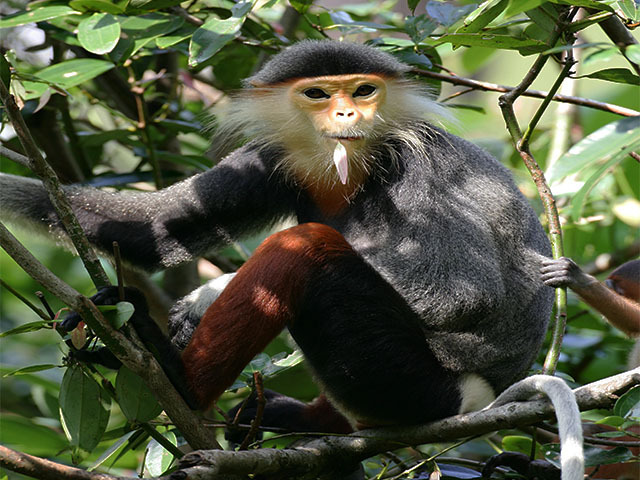 Explore Cat Ba National Park, home to one of Asia's most endangered primates, the Cat Ba langur. Visit Cat Ba National Park, home to the highly endangered and rarely seen Cat Ba langur, also known as the golden-headed langur. This is officially one of the most endangered primates on earth with only 60 individuals left in the Park. Also look for some of the other 32 types of mammals that reside here, including langurs, wild boars, deer, and hedgehogs. Around 70 species of birds have been sighted here, including hawks, hornbills, and cuckoos. Your Vietnamese Adventure ends today with a transfer to Hanoi Airport for your flight home.